Our annual art show is just around the corner! So many wonderful pieces of art will be available and we wanted to introduce you to some the artist behind the heartfelt work you’ll see. Layla joined ACTS almost 3 years ago when she was in 1st grade. Now in 4th grade Layla has participated in numerous art shows. Creating miniature rooms and structures is one of Layla’s new found interests. In addition to paintings Layla will have 3D artwork at the show. Tino is in 7th grade and part of the 2nd generation of ACTS kids. Tito loves playing basketball with the other kids at ACTS and being outside. This piece, “Elvis,” was a popular item last year. We’re excited to see what Tino comes up with next! Our young artist, Lily, has been part of ACTS for just over a year. 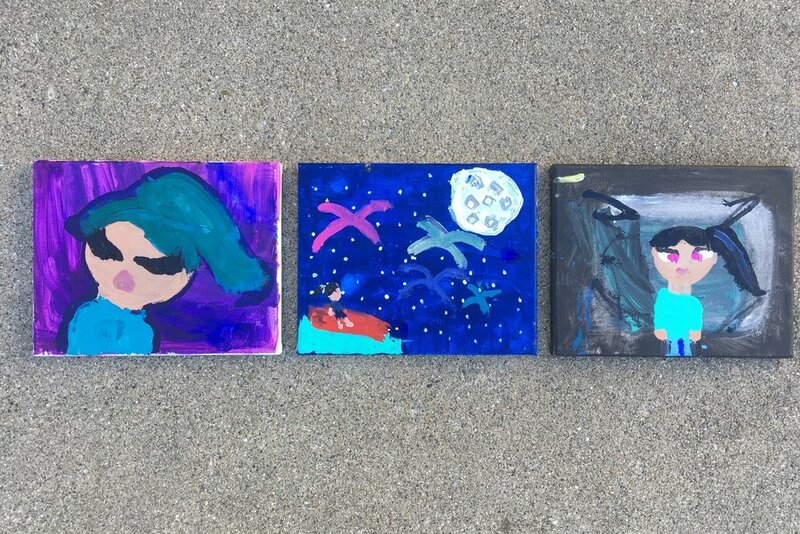 Even as a 4th grader, she is well on her way to becoming an talented artist. Currently Lily is focused on discerning her unique artistic style. She has already created these 3 pieces for the show and we’re sure there’s more to come! the Art Show & Silent Auction. Join us on November 29 at Brew Merchant from 6-8pm!